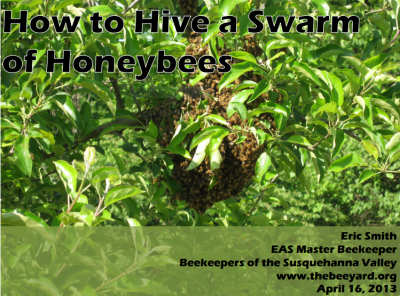 Here are the slides from our April 2013 presentation regarding swarm capture. Thanks to everyone for coming out to our April meeting! Here are the slides from Eric’s presentation about the Small Hive Beetle. Will’s presentation to our group during the February 2008 meeting.